One of the best parts about attending conferences is the sheer number of smart people that congregate in one place. And during this year’s Oracle’s Modern Marketing Experience there were an overwhelming number of smart marketing nerds there to learn about new processes, theories and technologies that can improve their programs. 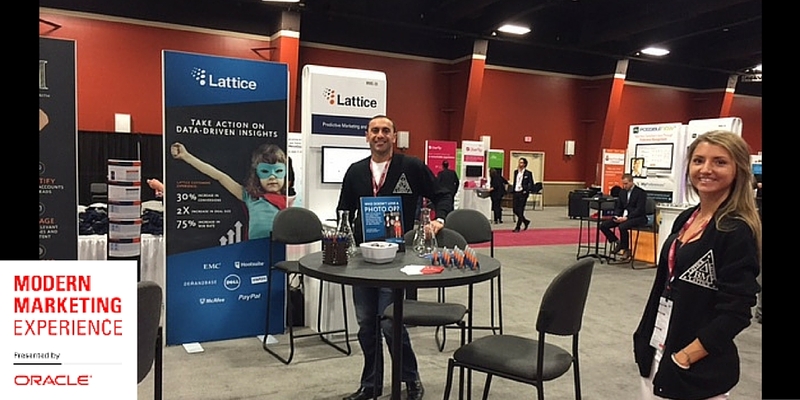 Like other conferences this year, a lot of the attention went to Account-Based Marketing. Marketers are trying to better understand ABM processes and tactics, and are using conferences as a way to learn best practices and get introductions to technology companies to help them get started. It was great to see the number of people who stopped by our booth to talk about their account-focused initiatives, and ask how we could help them start taking account-level actions on data-driven insights. One of the panels that helped attendees understand how to put ABM into action was a ‘best practices’ session where panelists discussed how predictive analytics solutions are a key technology building block for successful ABM programs. 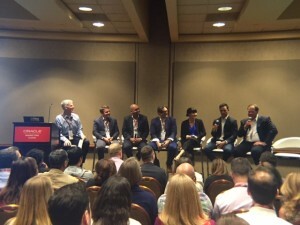 Executives from Oracle, Integrate, Demandbase, MediaMath, 6Sense, Mintigo and Lattice Engines participated, and discussed the key reasons why data-based ABM programs are driving higher conversion rates and increased alignment between marketing and sales. Effective: Teams that have implemented ABM see increased revenues and higher average sales price per deal. Efficient: ABM helps narrow down your lead based marketing based on account segmentation, and enables teams to focus on the right accounts. Strategic: With ABM, marketing metrics are now focused on outcomes and results, which aligns them with sales and creates a stronger, more integrated revenue team. 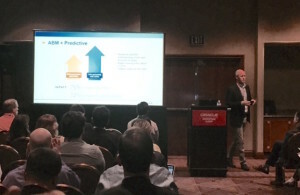 Another session that highlighted the ties between ABM and predictive analytics was a case study presented by Demandbase CMO Peter Isaacson. Demandbase saw a significant improvement in both its ACV and close rate when comparing its performance using ABM powered by Lattice versus traditional marketing. The company saw a 75 percent increase in close rates among its enterprise accounts and a 72 percent increase in ASP among its advertising accounts. It was clear from the conversations we had on the show floor that ABM isn’t going anywhere, in fact I think its just starting to pick up steam. Are you thinking about implementing ABM in your company? I’d love to hear your thoughts in the comments!